Product prices and availability are accurate as of 2019-04-19 15:22:06 EDT and are subject to change. Any price and availability information displayed on http://www.amazon.com/ at the time of purchase will apply to the purchase of this product. The model AC-4525 from Motor Guard combines an efficient water and particulate filter and a high-flow diaphragm regulator into a single unit. This product provides for precise control of air pressure near the workstation. 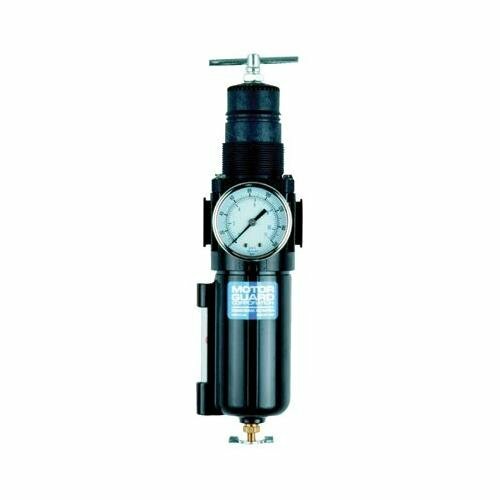 The model includes a locking T-handle for ease of adjustment and a pressure gauge with a solvent-proof glass lens.